Aeroquest Mapcon's expertise in creating surface models ensures that our clients receive clean and filtered data that meets their exacting project specifications. Our ability to deliver a wide variety of 3-D surface data types allows Aeroquest Mapcon to provide spatial data to a broad range of clients in both government and industry. Whether a project covers a small shoreline area or an entire province, our experienced staff and leading technology and processes makes sure that our clients' data is correctly delivered to the project requirements. 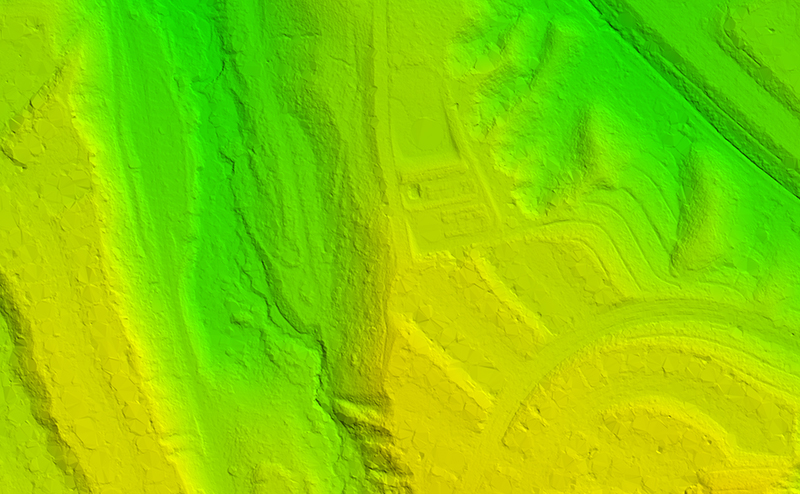 Digital Terrain Models are representations of bare earth with all above ground surface features removed. This type of surface model has wide ranging applications including engineering and forestry, and also provides the base data for producing orthophotos. DTM data can be generated photogrammetrically, using image auto-correlation, or from a LiDAR dataset. Depending on the source and application, DTM mass point data can also be enhanced photogrammetrically with break lines to better define sharp changes in elevation for features such as road edges, embankments, railway grades or drainage. Digital Surface Models represent all features including above ground objects such as buildings and trees. 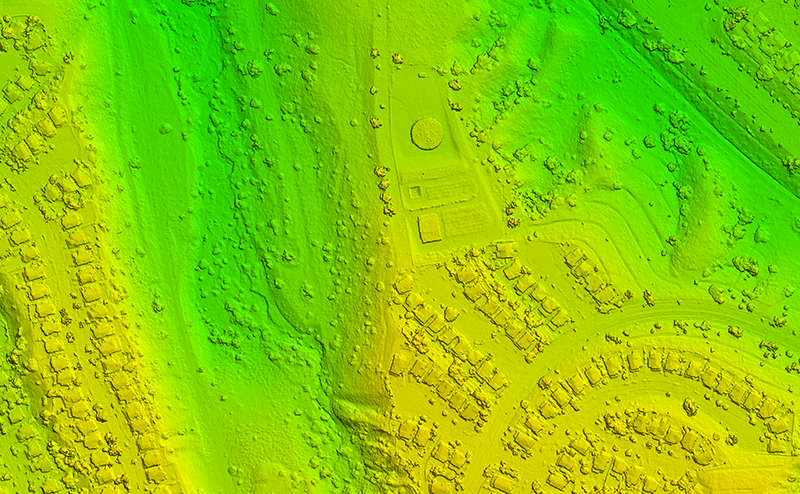 DSMs can be used for tasks such as change detection, feature elevation information and volume calculations. Generation of DSM data is usually from LiDAR acquisition or image auto-correlation. Colourized point clouds are generated by auto-correlation from stereo imagery with the RGB pixel values of the imagery applied to the points. This provides an accurate positional representation of ground features with the added benefit of visual identification of the objects being correlated.